In stock. Order in the next 7 hours, 16 minutes and it will go out today! 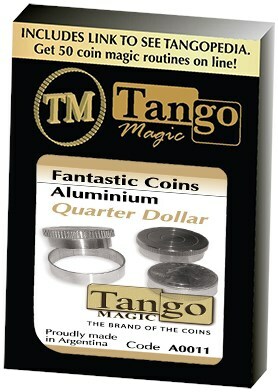 Five coins appear from a cylindrical metal cap and jump magically to another. The coins then penetrate the solid metal of one of the caps. Finally, they vanish without a trace. Now made with real coins.